There are 2 days left to save an extra money at U.S. BCBGMAXAZRIA stores and BCBGMAXAZRIA online. 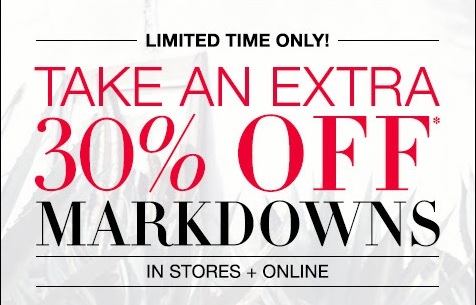 Receive an extra 30% disount on all markdowns! Don't you believe it? If not, verify it at your nearest store location or online on the official website. Source of the information is BCBGMAXAZRIA. More details at U.S. BCBGMAXAZRIA stores or online. Offer is valid through Sunday, May 1, 2016.